Recently, new and established security vendors have upped their use of the fancy-sounding term "machine learning". While the technology isn't new (Webroot won an innovation Edison Award for work in the field over 6 years ago in 2012), it has resurfaced as a marketing buzzword and created some confusion in the industry. 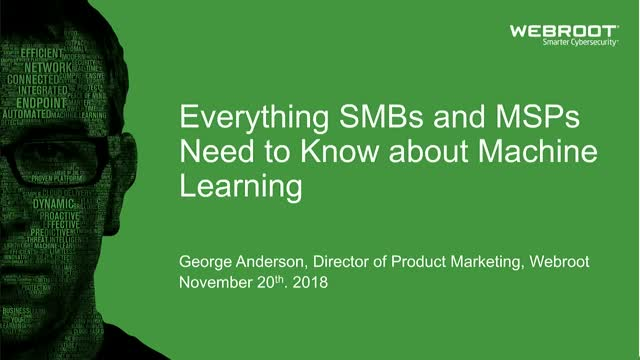 We’d like to invite you to join Webroot director of product marketing George Anderson for a 30-minute webinar to learn how Machine Learning is used in cybersecurity and how Webroot has been applying it for more than 10 years to create actionable threat intelligence for stopping a wide range of threats.